What Clothing Is Best for Sun Protection? Summer offers plenty of chances to get sun damage, especially when you’re outdoors all day. Whether you’re at the pool or beach, on a river trip, in the mountains, or at the amusement park, you’re risking skin damage from the sun’s ultraviolet (UV) rays. Even on cloudy days, up to 80 percent of the sun’s harmful rays can penetrate your skin, according to the American Academy of Dermatology. And UV damage may lead to skin cancer. Experts at Huntsman Cancer Institute (HCI) recommend avoiding sun as much as possible, especially between the hours of 10 a.m. and 4 p.m., when the sun’s rays are strongest. If you can’t do that, the next best thing is to cover your skin with clothing. But what type of clothing is best? Many outdoor retailers offer expensive ultraviolet protection factor (UPF)-rated clothing. According to the Skin Cancer Foundation, those items are effective. However, any clothing with these traits will offer protection. More layers of clothing does not necessarily mean more protection. The most important protective factor of fabrics is weave density—the tighter the knit or weave, the smaller the holes and the fewer UV rays can get through. Darker colors absorb more UV than lighter colors like whites and pastels. But bright colors such as red can also absorb UV rays. The more vivid the color, the greater the protection—a bright yellow shirt is more protective than a pale one. Synthetic fibers like polyester and nylon are more protective than bleached cottons or semi-synthetic fabric such as rayon. More stretch means UV rays will more easily penetrate through the fabric. Sporting clothes that do not hug the skin may increase UPF. Wet fabrics often take on a lower UPF. 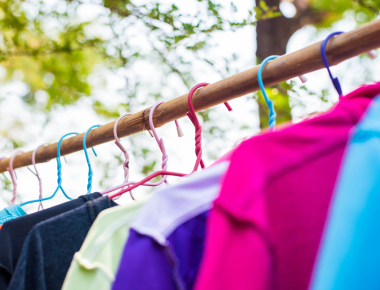 Old, frayed, or faded garments are less effective in protecting the skin against harmful rays. Long-sleeved shirts and pants offer the most coverage. 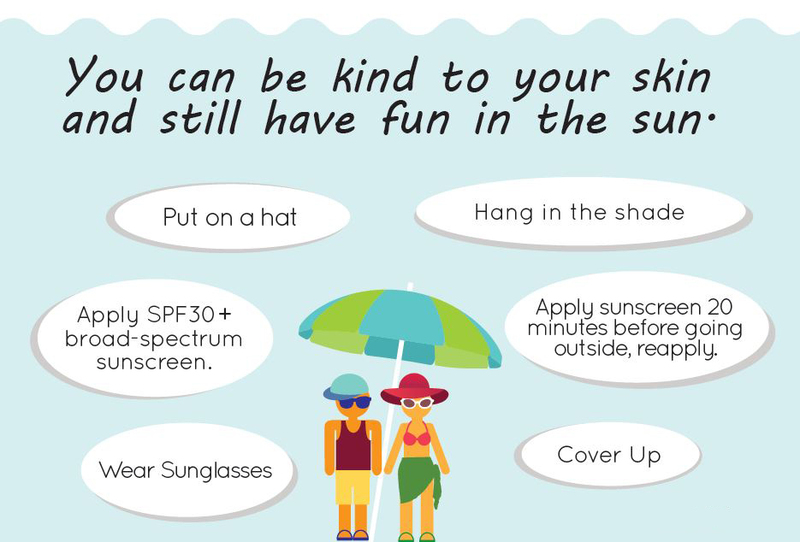 Along with clothing, follow these tips to protect yourself from the sun. HCI recommends wearing hats with a brim that is 3 inches wide or more. This will protect your face as well as the back of your neck. Eyes are also highly sensitive to the sun’s rays. Sunglasses offer protection, but not all are created equal. Here’s what to look for. 99–100 percent UV protection: Only sunglasses labeled with as having 99–100 percent UV light protection should be worn to ensure proper defense. Don’t assume you’ll get full UV protection just from darker lenses, polarized lenses, or a mirror coating, which are all designed to let in less light. You still need to look for the 99–100 percent UV protection label. Wraparound style: Wraparound glasses are designed to protect your eyes from harmful rays. They are shaped to keep light from shining around the frames and into your eyes. Use enough sunscreen to generously coat all skin not covered by clothing. The American Academy of Dermatology recommends using 1 ounce (enough to fill a shot glass). Always follow the directions and adjust the amount of sunscreen depending on body size. Make sure to reapply every two hours or after swimming or sweating. Learn more about sun protection.